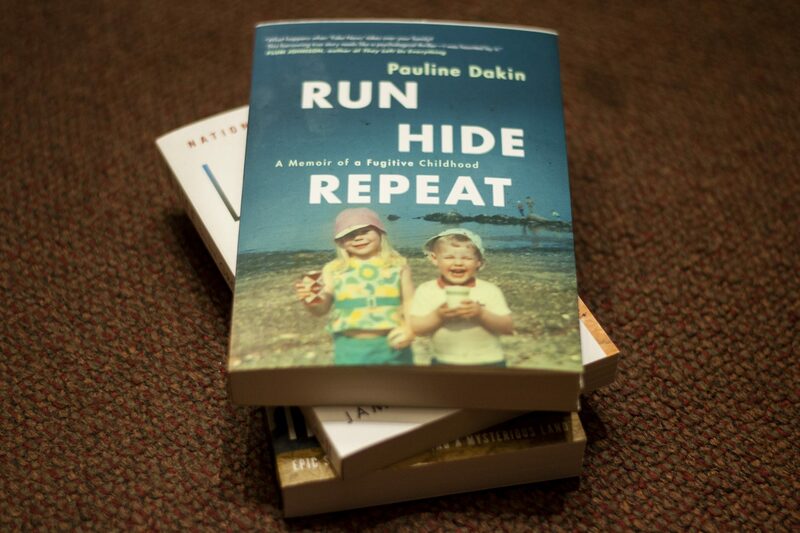 The Edna Staebler Award for Creative Non-Fiction has been announced, and the winner is Pauline Dakin’s Run, Hide, Repeat. A memoir of her childhood, Dakin recalls a time in her life she had not yet come to terms with in this novel. “It recounts my childhood and young adulthood, when there were some odd things going on with the family, and so it was my attempt to come to terms with a lot of those things as an adult, after most of the main characters in the story were gone,” said Dakin. An assistant professor at the University of King’s College School of Journalism in Halifax, Nova Scotia, Dakin has written journalist pieces for many years. She works in broadcasting for CBC Nova Scotia and her first lengthy piece, this novel, had been shortlisted for four different awards, winning the Edna Staebler, and was also one of the Globe and Mail’s Top 100 Books of 2017. “I started off trying to make sense of what had happened. I tried to forget about it for a long time, but you get to a certain age and you feel more of a need to try and make sense of things that have happened in your life, so that’s what I was doing.” said Dakin. The recipient of the award receives $10,000, and as the award is nationally recognized, it is a very prestigious honour in Canadian literature. Dakin’s book is based on her real-life experiences, and though the book is a creative piece, she still wanted to ensure the book was unapologetically herself. “I really love that this award is the Canadian award that recognizes creative non-fiction because it’s the genre, obviously the genre I chose to write in, a lot of people said to me ‘Why don’t you write it in fiction?’ but it was important to me that it be rooted in real life, and real stories, but I also love to try and write lyrically and use all of the tools that fiction writers have in terms of setting scenes, dialogue and character development,” she said. Dakin is not only excited to be receiving the award, but also the exposure of her choice storytelling medium and the similarities between Edna Staebler and herself. ”Also, Edna Staebler found her success when she was a little bit further along in life,” she said. “I’m in my 50’s now so here I am also finding some success later in life, so I like that symmetry,” Dakin said. The life of Run, Hide, Repeat does not end with this award however, as the novel will continue to grow into other projects. Yet new ideas are still in the back of Dakin’s mind. “I have a couple of other little projects underway, but I’m not completely finished with Run, Hide, Repeat yet. It’s going to be developed into a limited television series,” Dakin said. Dakin will be at Laurier on Thursday, Nov. 8 from 3:30-5:00 p.m. as the Edna Stabler award will be presented to her. She will also be conducting a book reading, taking place in the Robert Langen Art Gallery and the library.